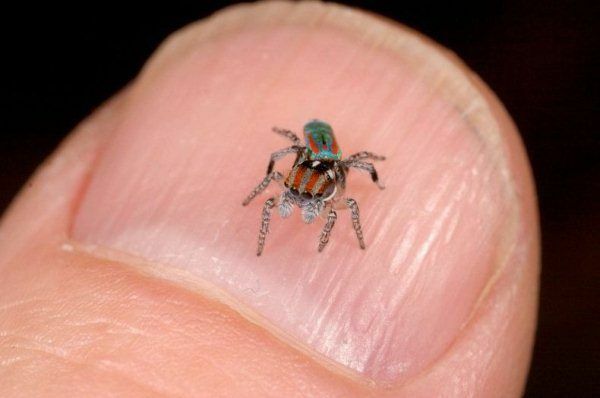 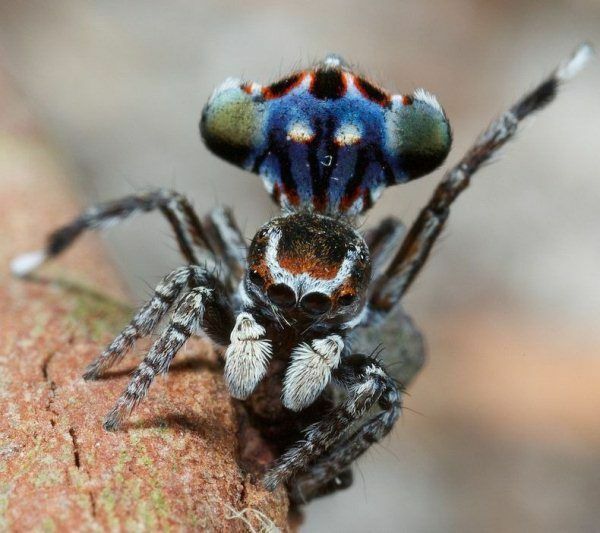 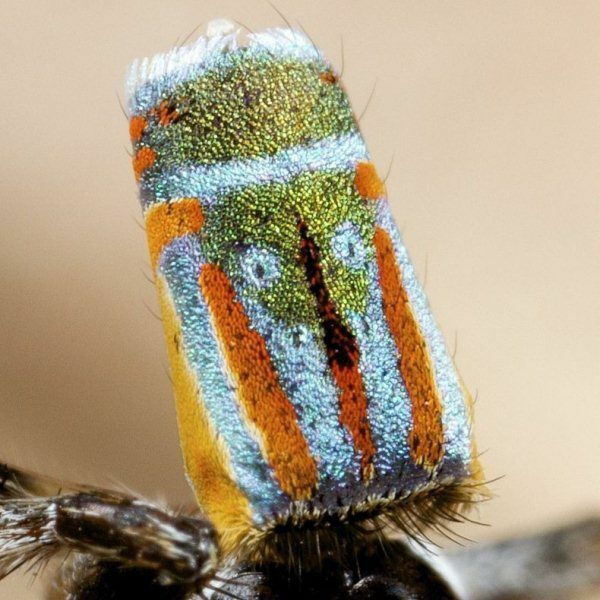 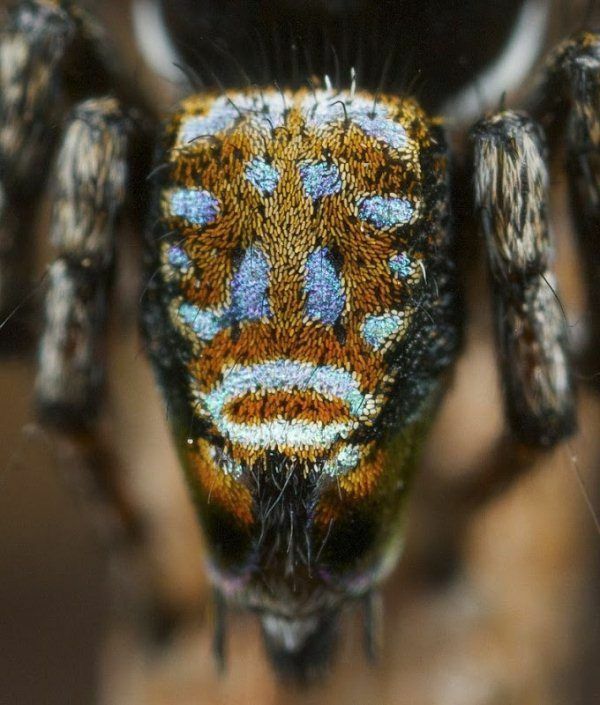 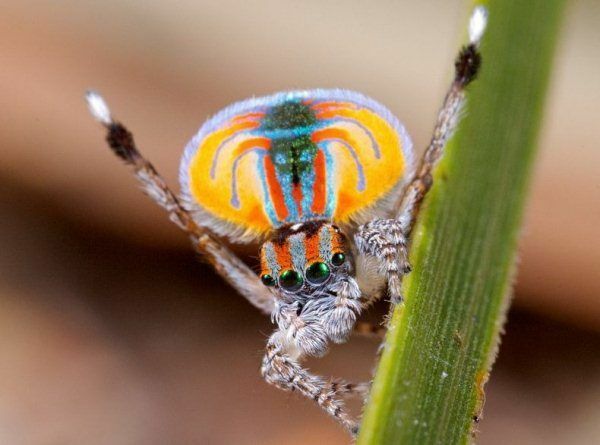 At four millimeters in length, the Peacock Spider is hard to find. 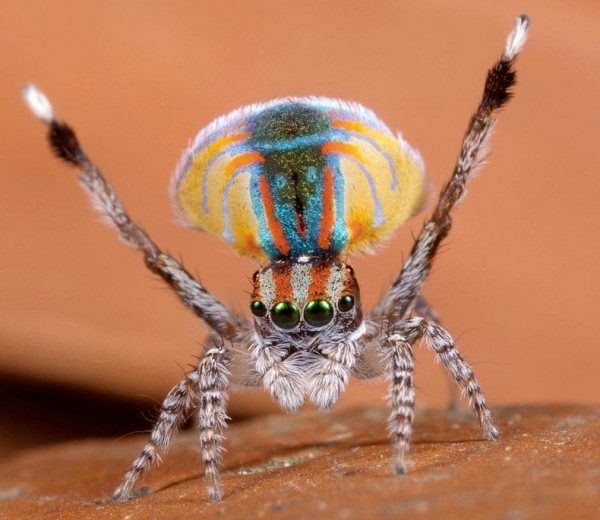 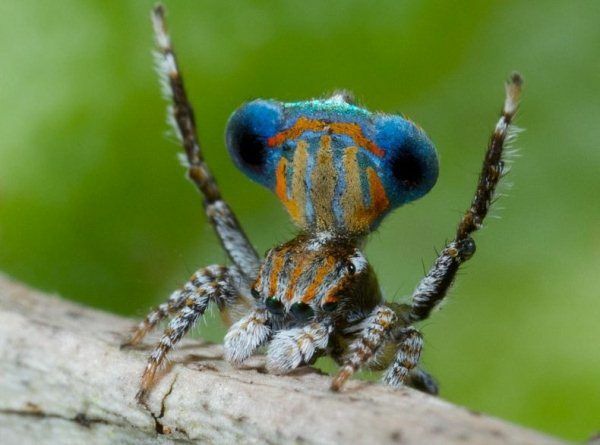 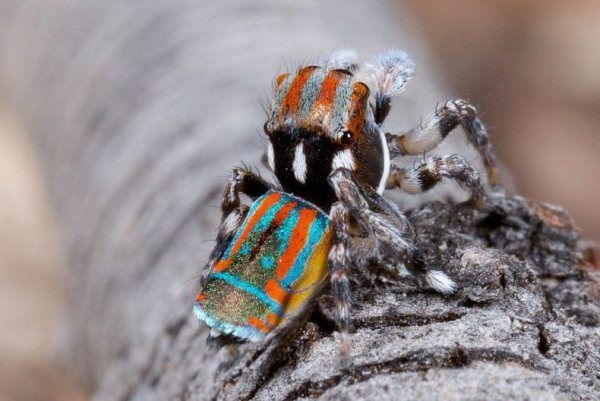 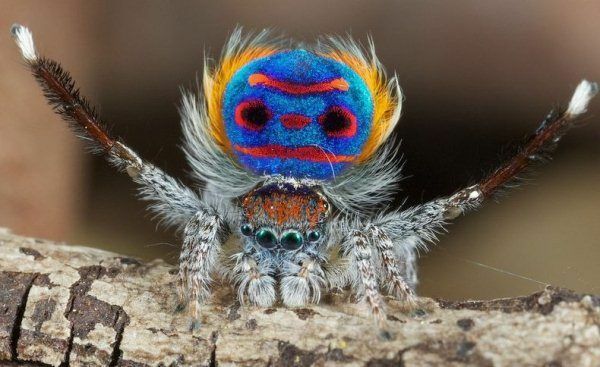 Once found, dedicated searchers will be rewarded with what is perhaps one of the most colorful, if not, the most colorful of all the arachnids.It is not just the brilliant coloration that earned the spiders their name. 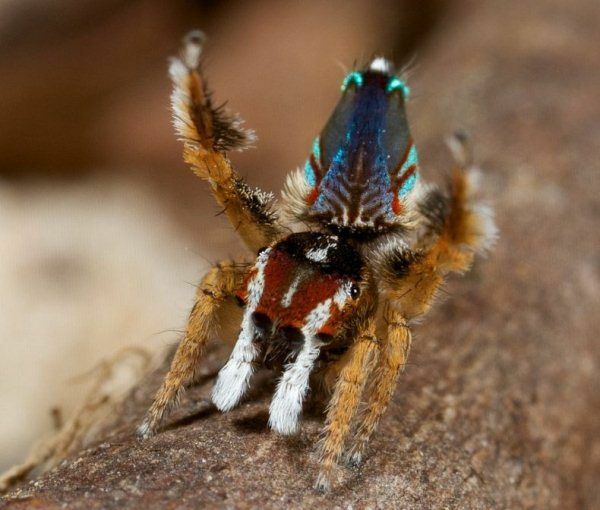 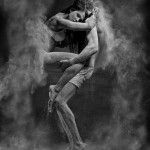 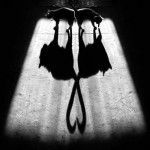 The male’s elaborate mating dance starts with a little leg-waving, segues into some abdominal gyrations coupled with displays of bristled back legs. 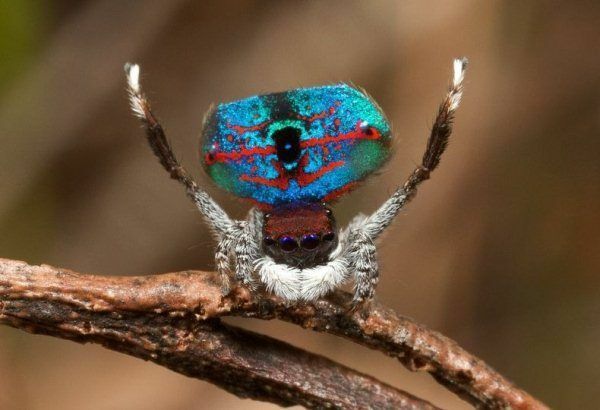 The finale is the raising of the two magnificently colored flaps done with a little jig. 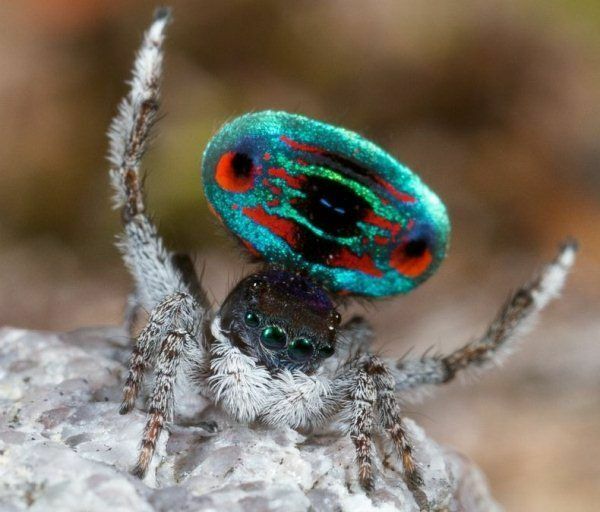 It’s the final act that justified adding “peacock” to their common name. 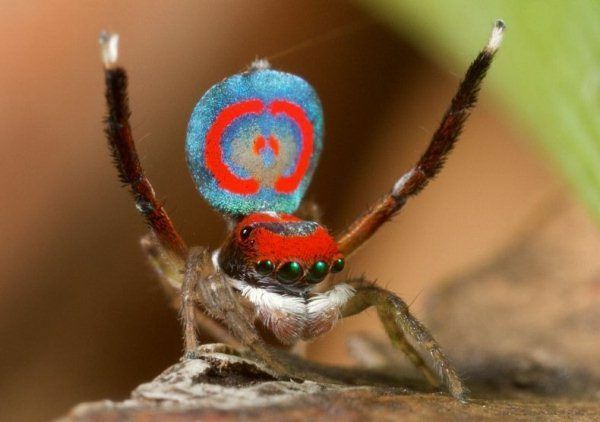 Dr. Jurgen Otto, an arachnologist, delights in capturing the Peacock Spider’s antics with his camera. 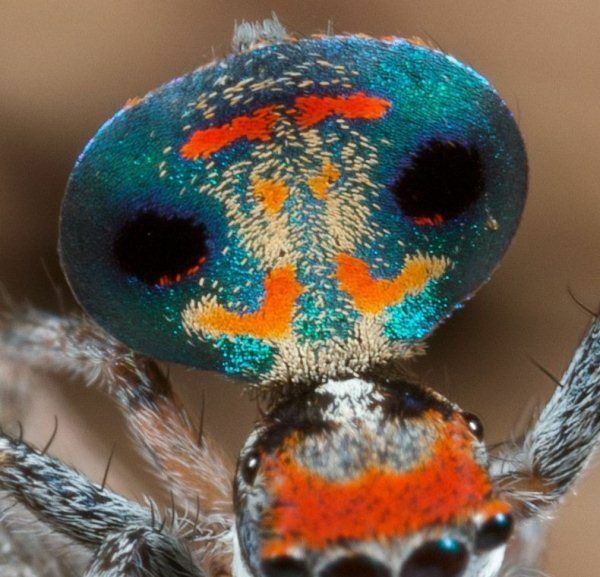 Find out more about these fascinating arachnids here.